Diplomat is a premium responsive WordPress theme designed for building political candidate websites, and political party websites complete with Event and Donation Form integration. 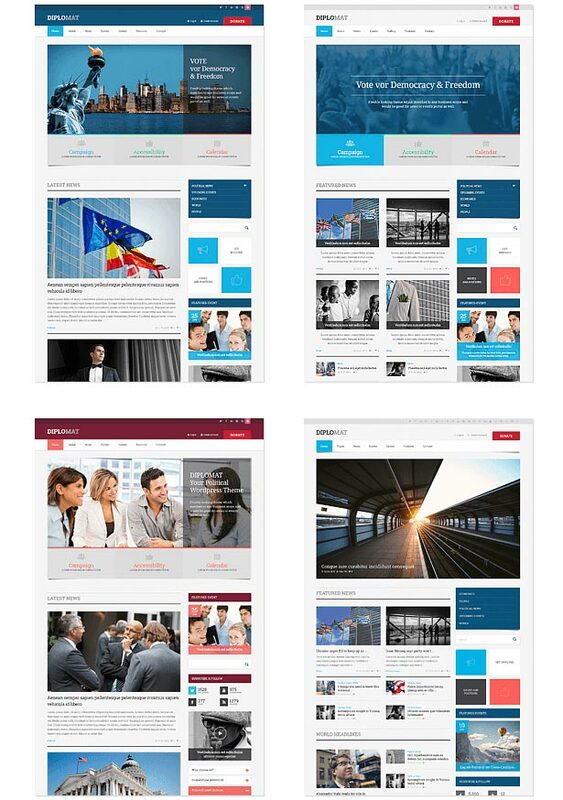 With standout features including five prebuilt post layouts for political templates to get you started, Diplomat should be your first choice when developing your political website. With stunning full page sliders that are flexible and built with accessibility in mind for a deeper user experience, Diplomat is packed full of the features you need to create a truly immersive political experience for your campaign voters. With a bold, yet clean and distinctive design, Diplomat Political WordPress theme makes use of the key elements of Flat Design to keep a focus on what’s most important -­ your content and your website campaign. Create site templates with highlighted ‘Featured Events’ with our purpose built Widgets. It’s important to provide your users with an end-to-end experience so they can keep up with all key components of your political campaigns including Events. This easy to use Plugin allows you to easily create and manage Campaign Events from the WordPress dashboard. Provide dedicated space to Key Campaign Sponsors with easy to use pre-­prepared 125px x 125px ad blocks. Focus the attention on what matters to you the most with your office’s campaign, with beautiful Menu options including Mega Menu to bring all of the important news and updates to the foreground without being overbearing. Give your party supporters the features they need with integrated Booking Forms that are designed to fit in with the theme’s look and feel -­ all with no coding required. Of course you need to ramp up your party campaign with functionality for donations which has all been catered carefully for with Diplomat. Take it to the next level and create an engaging place where your candidates, campaigners, political supporters and staff can all participate in healthy debate with Diplomat’s purpose built Forum feature. You are also going to need to manage a large mailing list from your website, and you don’t want to keep adding components that are not tested for compatibility, so we have included a full feature News Subscription service with Diplomat. 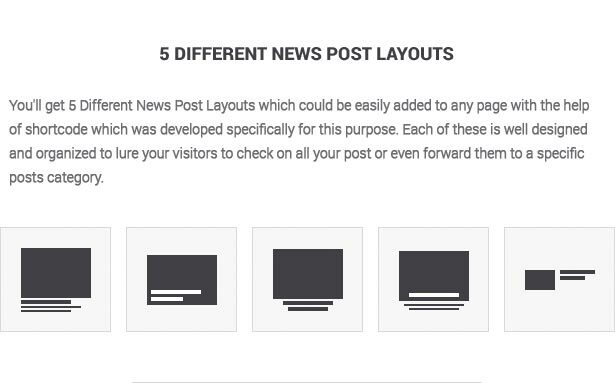 This means you can use the News Subscription Plugin in various locations on your website to encourage new members to join and be the first to know when you have important news to get out to your supporters and the media. With even more advanced features including a Content Composer and a Form Constructor, creating your ideal website has never been easier. Complete at no extra cost to you, Diplomat also includes the best selling LayerSlider with stunning and silky smooth animation effects for creating all kinds of amazing slider content. 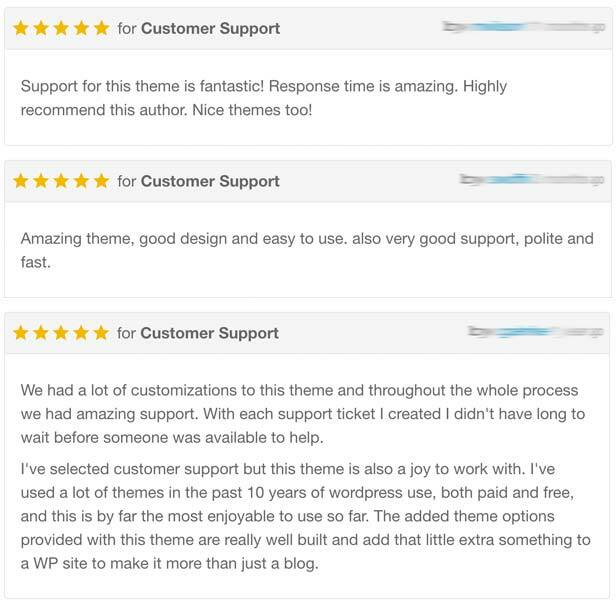 With Political WordPress Theme Diplomat on your side, all of the hard work is done for you, so you can concentrate on what’s most important. To make everything clear for you we provide with detailed documentation and video instructions which are so easy to follow and figure out, you will see how easy is to work with Diplomat. Attention! No longer need to export/import .xml files, no more trivial round to install demo content, no more mess and fails. The fat feature of Diplomat is One Click Demo Install. If you like this theme a lot, if it totally fits your corporate design, sure you need to structure your own website layout and content exactly as demo version shows. One click – full website content: pages, posts, shortcode elements, slider.